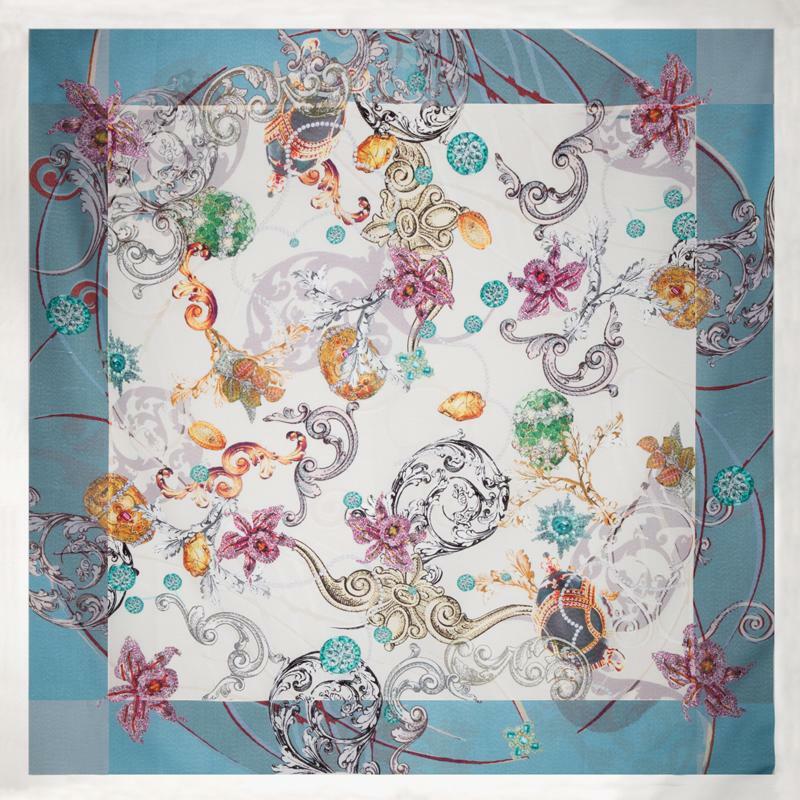 Tied, twisted, looped, folded, rolled —the fluid scarf lends itself to endless transformations and yet somehow manages to always look the same: très elegant. It’s only fair then that to source this luxurious accessory we went to one of the most glamorous places in the world: Lake Como. With its picturesque cafés, endless views and stately villas, it’s not hard to understand why Lake Como is the jewel of Italy’s lake region. But little-known to those outside the fashion industry, Como, rather than Milan, is the best place to source textiles in Italy. 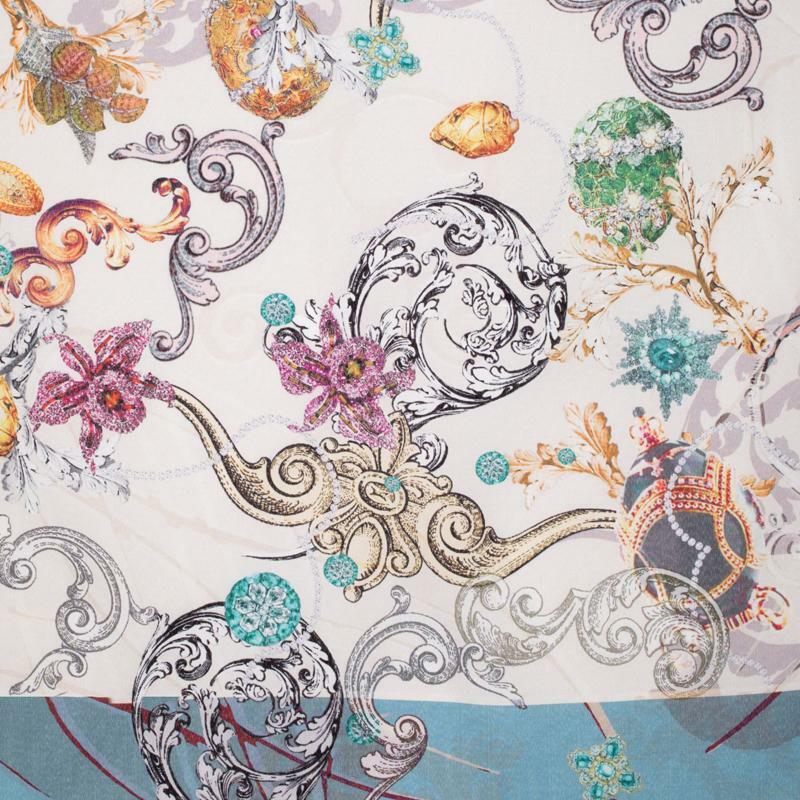 Since the turn of the century, Como, a 2,000-year-old Roman town on the southwestern shore of the lake of the same name, has been the center of Italy’s textile industry. The scarf you see here comes directly from this legendary region. 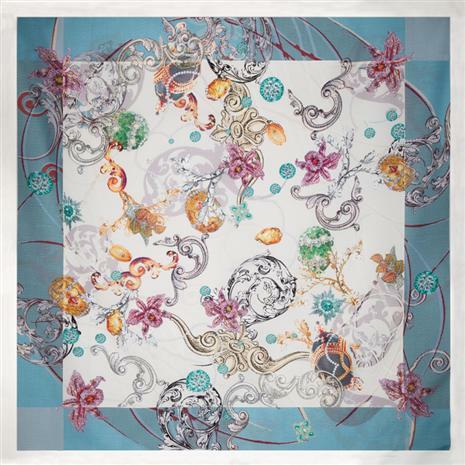 At once timeless and chic, this airy, graceful scarf featuring original artwork of exquisitely-bejeweled eggs, are worthy of Como’s jet set glitterati. Bold color and an elegant drape are achieved through ultra sheen, easy-care polyester. Purchased in fancy boutiques, an Italian-made scarf would normally run you hundreds of dollars. 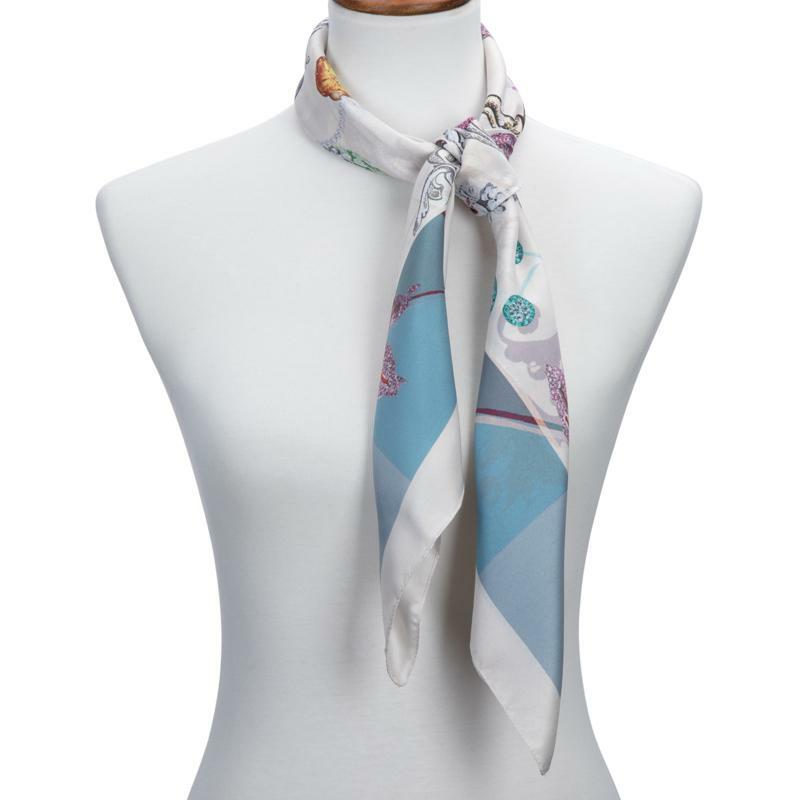 But through our Italian connections we were able to secure the Uovo del Tesoro Scarf for you at a truly remarkable price. Don’t miss your chance to own one of Italy’s most legendary accessories.